Over the weekend the US Government shutdown moved into record territory for the most consecutive shutdown days. Thanks to the closure 'only' hitting around 25% of the government, this shutdown has yet to have an impact on stock markets. As this stalemate between US politicians drags on though, there will be ripple effects into the economy. For starters, what will happen when rent cheques come due from the unpaid workers? Rating agencies have also warned that if this drags on for too long, US debt will be downgraded. The lowering of US debt from AAA to AA would send tremors through global finance. 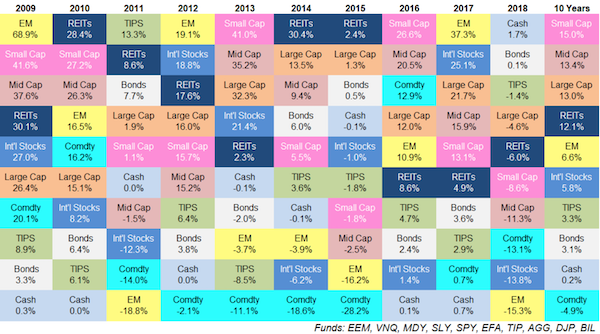 As always, politicians and their policies will come and go, so ignore the noise and focus on owning stocks for the long term. If all goes according to plan, for most of our clients, you will only need to harvest from your equity portfolio when Trump's border wall is old and rusted, and his legacy as president is a distant memory. On Friday the JSE All-share closed up 0.72%, the S&P 500 closed down 0.02%, and the Nasdaq closed down 0.21%. Richemont, the second largest luxury goods company in the world released its third-quarter trading update on Friday. The maker of Cartier had two very prominent strategies going into 2018. First, increase sales channels by pushing online/e-commerce, which was only 1% of the groups' total sales. Second, invest more in Chinese operations. The company was successful in both. We saw a surge in online sales from EUR59 million to EUR694 million after the full acquisition of YOOX Net-a-Porter (YNAP) and UK-based Watchfinder.co.uk. Online now makes up 18% of total sales for the luxury goods company. Sales increased by 25% year-on-year to EUR3.9 billion. However, excluding YNAP and Watchfinder, sales only increased by 6% in actual exchange rates. The biggest contributor with double-digit growth, notwithstanding the trade wars, a "slowing economy" and tariffs, was still mainland China. Sales by region were positive for most parts, except for the Middle East, Africa, and Europe. The reason for weak sales in Middle East and Africa was the fact that they were coming off a high base and the currencies weren't in their favour. Richemont said they encountered problems in France with the "yellow vest" protests which "negatively impacted tourism and led to store closures for six consecutive Saturdays". In terms of growth by business area, jewellery is still the shining star with a 9% increase in sales to EUR2 billion. Mostly thanks to the Van Cleef & Arpels Perlee Clovers bracelets that have seen a great year. We are happy holders of Richemont in our clients portfolios as prospects for the majority of their products are positive, especially in mainland China, their largest market. The US - China trade war is a pressing concern for global markets. The world's two largest economies should not be in conflict with each other. Global multi-nationals (of the kind that we own in our local and offshore equity portfolios) would far prefer smooth, tariff-less trade, free flow of investment capital in un-constrained currency markets, level-playing fields on tax rates, open flow of intellectual property rights and relaxed movement of executives between countries. Instead what we have is politicking and finger pointing, to stimulate local electorates. The US and China held "deputy-level" trade talks in Beijing last week. The discussions lasted one day longer than planned and both sides issued vague but mildly positive official statements about the discussions. Vice Premier Liu He, China's lead negotiator, will come to Washington at the end of January to continue the negotiations with US Trade Representative Robert Lighthizer and Treasury Secretary Steven Mnuchin. "The Chinese do need to make a deal, both because the trade conflict is exacerbating underlying problems in their economy and also because I hear Xi is quite concerned about the possibility of U.S. decoupling from China, especially in technology. 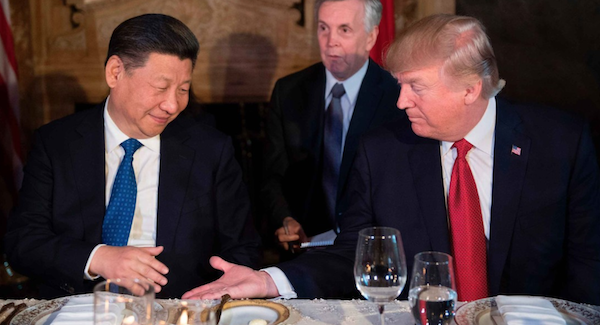 However, the Chinese side cannot accede to all US demands without making structural changes that could pose an existential challenge to the Party's view of how the economic system needs to be structured, so whether or not there is ultimately a deal will come down to how much is enough from the Chinese side to get the President Trump to say "we have a deal." The bottom line: I expect that the Chinese offer will fall far short of what US Trade Representative Robert Lighthizer wants, but using a mixture of big purchase commitments, unofficial lobbying, flattery, and headline concessions it will ultimately prove enough for Trump." In this day and age, it is very important for brands to know which channels to use to market to their clients, especially when dealing with different cultures. L'Oreal seems to be infiltrating the Chinese market very successfully with viral campaigns such as this one below. 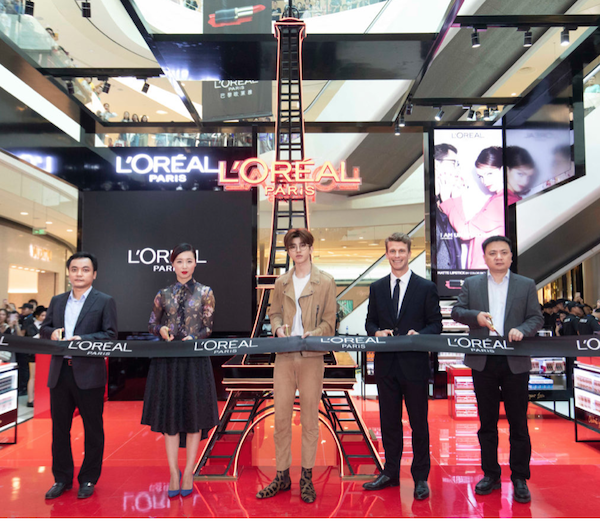 L'Oreal Generates 120m Social Media Interactions with Haitang Bay Pop-up Launch. Getting the right celebrity endorsements is also key. What is interesting here is that they have gone with a male singer whilst launching a lipstick. They are not just targeting women. With social media so influential in our lives, looking good with make-up has become even more important. This theme has exploded in Asia. I always prioritise reading Bill Gates' blog posts. Here is his latest looking back at 2018 - What I learned at work this year. It is a very interesting read, where he talks about Alzheimer's, Polio, nuclear energy and gene editing. I was excited to read about the advances in Alzheimer's research, where hopefully by the time I reach old age it will be a managed disease. The part that really surprised me was Gates's advocation for further research in nuclear power. In my limited reading on power generation, I felt that the trend of increased renewables usage was strong enough that you wouldn't need new nuclear power plants. In any case, give it a read, where you can hear his argument for nuclear power and how we are on the verge of eradicating Polio. "People start being interested in something because it's going up, not because they understand it or anything else. But the guy next door, who they know is dumber than they are, is getting rich and they aren't." For many this is the first full week for 2019, where we are still trying to get back into the swing of things; waking up early, eating correctly and hitting the gym. Equity markets are also back to full steam, where this week US quarterly earnings start. On a news front, the South African MPC meets Tuesday through to Thursday to decide our interest rate, the UK parliament votes tomorrow about the proposed Brexit plan and Greece is back in political turmoil. The JSE All-share is lower this morning, but at least the Rand is holding steady below $/R 14.00. Sent to you by Team Vestact.